16 hr course (8 x 2 hr sessions over 8 weeks). This introductory course will cost $440 and is a prerequisite for other courses. Book early to avoid disappointment as class sizes are limited. Call Paul on 0411037815 between 9am & 9pm (Aust EST) for more information. 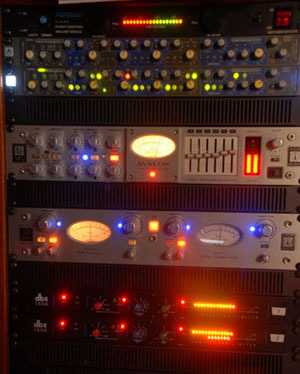 Course covers: basic to advanced live mixing skills, including sound theory, mixing technique, microphone technique and placement, cabling, amplifiers and P.A.s, foldback, patch bays, equalizers, dynamic effects, patch bays, monitoring, spatial mixing, & mastering.